This weeks song is “Blue and Red” by Sky Sailing, in their [his] one and only album (of current) “An Airplane Carried Me To Bed”. For those of you who don’t know, Sky Sailing is the Owl City before the Owl City. 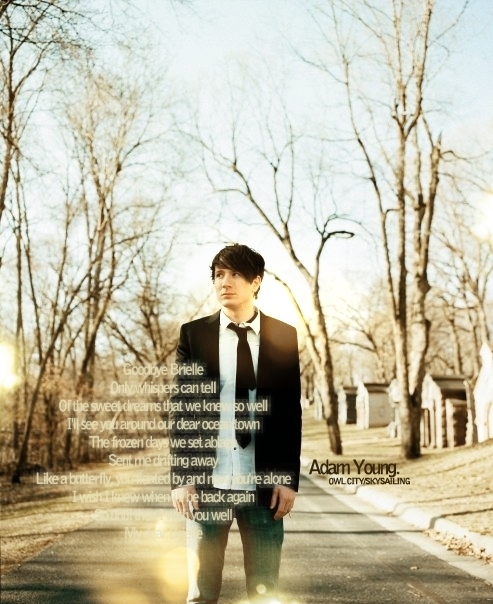 Adam Young recorded all the songs on “AACMTB” in his basement (like all his other songs), on his own, before “Of June” (the hit that started Owl City). I believe, however, that he recorded Sky Sailing AFTER his other “other projects” (think Port Blue, Aquarium, Windsor Airlift, Novel, etc etc), as these were recorded whilst he was in high school, and Sky Sailing was recorded whilst he was in his late teens or 20’s. The vocals in Sky Sailing, however, are recent: he re-recorded the vocals just before releasing “AACMTB” in 2011 (or 2010… but I”m pretty sure it’s 2011, because he released Ocean Eyes in 2010… anywho).